Most patients develop asymptomatic infection but will often have high-level viremia and elevated alanine aminotransferase (ALT) levels in the acute infection period. Hepatitis C virus (HCV) RNA can be detected 1 to 3 weeks after infection, approximately 1 month before the appearance of antibodies. If HCV RNA is still detectable after 6 months, the patient is considered to be chronically infected and the HCV RNA level will remain more or less stable (within 0.5 log).12 The plot shows a schematic of 3 major scenarios to explain when to initiate treatment within 8 to 12 weeks after exposure for those who do not have spontaneous resolution. In cases when the date of exposure is unknown, we recommend HCV testing at initial evaluation and again 3 to 4 months later. Suggested time frames for testing are indicated based on known time of exposure, results of prior diagnostic testing, and goal of determining if or when to start treatment. *Repeat HCV RNA testing at 16 to 24 weeks if the patient had previous negative qualitative test results. †Repeat anti-HCV antibody testing at 16 to 24 weeks if patient had a negative anti-HCV test result at 4 to 6 weeks after exposure. ‡Consider treatment if a patient tests positive for HCV RNA 8 to 12 weeks after infection (optimal time to initiate treatment; see Table 3). HCV indicates hepatitis C virus; PCR, polymerase chain reaction. *Chronic infection is suspected if a patient's most recent HCV exposure was more than 6 months before testing or if the patient does not have features of acute hepatitis C (recent seroconversion, alanine aminotransferase greater than 5 times the upper limit of normal, with or without features of hepatitis [ie, jaundice]). †Treatment candidates include those without any absolute contraindications to treatment6 or those without relative contraindications (thyroid disease, depression) that cannot be safely managed. ‡Liver biopsy is the most accurate method of determining the severity of liver disease. §If HCV RNA levels are negative at 4 weeks, there is a high probability of sustained virological response. The plot shows a schematic of 4 possible responses during treatment of chronic hepatitis C virus (HCV) infection and stopping rules. Suggested times for HCV RNA testing are shown along the same scale. Context Hepatitis C virus (HCV) is a common blood-borne pathogen that relies heavily on nucleic acid testing for confirmation of infection. Nucleic acid tests are invaluable for the diagnosis of HCV infection and provide critical prognostic information for guiding treatment and measuring the response to antiviral therapy. Objective To review the currently available molecular diagnostic tests for HCV, their clinical applications, and how these tests shed light on the natural history of HCV. Evidence Acquisition Search of MEDLINE (1966 to July 2006), article reference lists, and national meeting abstracts for the diagnosis and applications of molecular diagnostic tests for HCV. Studies were selected on the basis of clinical relevance. Evidence Synthesis Qualitative nucleic acid tests have low limits of detection (<50 IU HCV RNA/mL) and are used for confirmation of HCV infection and for screening blood donations. Hepatitis C virus genotype test results provide important prognostic information related to therapeutic response and are routinely used for selecting treatment regimens. Quantitative HCV RNA testing provides prognostic information regarding likelihood of treatment response and plays an important role in monitoring the antiviral response to treatment. Sustained virological response is defined as testing negative for HCV RNA 6 months after cessation of therapy. Recent studies suggest that the rate of response to therapy is also important. For example, conversion to an HCV RNA negative test result after 4 weeks of therapy constitutes a rapidvirological response and is a strong predictor of treatment success. Patients who have not had an earlyvirological response, defined as at least a 2-log decline in HCV RNA after 12 weeks of therapy, are unlikely to respond with an additional 36 weeks of therapy, and should stop therapy. Conclusions A sensitive nucleic acid test should be used to confirm all cases of acute or chronic HCV infection. A genotype test and quantitative HCV RNA test should be performed on all patients prior to therapy to best assess probability of response and to aid in selection of appropriate therapeutic regimen. Monitoring HCV RNA during treatment provides important information on likelihood of sustained virological response. The same type of quantitative HCV RNA test should be used throughout a patient's treatment course. Nucleic acid tests directly detect the presence of HCV RNA using a combination of amplification and detection techniques. Except for certain uncommon clinical situations, NATs have supplanted the recombinant immunoblot assay as the preferred test to confirm HCV infection. Nucleic acid tests are classified into qualitative tests (qualitative polymerase chain reaction [PCR], transcription-mediated amplification [TMA]), and quantitative tests (branched-chain DNA [bDNA]) amplification, quantitative PCR, and real-time PCR). Guidelines covering the indications, interpretation, and recommended tests are listed in Table 19,17-19 and Figure 2. Quiz Ref IDAlberti and colleagues20 demonstrated that detection of HCV RNA in patient serum is the definitive marker of hepatitis C liver disease regardless of serum ALT levels. Thus, documentation of HCV viremia is the hallmark of HCV diagnostics in antibody-positive and in HCV antibody-negative patients with unexplained ALT elevations or liver disease documented by liver biopsy.21 The most commonly used qualitative NATs use reverse transcription PCR to detect viral RNA as reviewed elsewhere.22,23 There are 3 widely used tests for qualitative detection of HCV RNA, including 2 commercially available kits (AMPLICOR 2.0 and Ampliscreen 2.0, both by Roche Diagnostics, Indianapolis, Ind) and a reference laboratory test known as UltraQual (National Genetics Institute, Los Angeles, Calif; Table 2). The sensitivity is more than 96% and their specificities are more than 99%, using antibody status and elevated ALT as the gold standard.24-26 These tests have a very low limit of detection, less than 50 IU/mL. The TMA test is a newer qualitative NAT, which appears to be more sensitive than reverse transcription–PCR tests. The VERSANT HCV RNA Qualitative Assay (Bayer Diagnostics, Emeryville, Calif) has a lower detectable limit of 5 IU/mL and sensitivity of more than 98%.27 In 1 tube, HCV RNA is captured using sequence-specific hybridization and is amplified via T7 RNA polymerase; RNA amplicons are then detected using chemiluminescent probes. Nucleic acid tests also have clinically important applications in predicting patients at risk for virological relapse once therapy stops and in diagnosing acute HCV.19,30-32 In a recent study, patients who were prior nonresponders to interferon had reverse transcription–PCR and TMA testing of sera samples after 20 and 24 weeks of peginterferon and ribavirin therapy.33 Importantly, 45 participants who tested negative for HCV RNA by reverse–transcription PCR tested positive for HCV RNA by TMA at both the 20- and 24-week visits. None of these 45 participants achieved sustained virological response. Overall, TMA was superior to PCR in predicting sustained virological response (positive predictive value, 66% vs 52%). However, further studies are needed to validate the use of TMA in this clinical setting. There are 3 types of tests to quantify HCV RNA: quantitative reverse transcription–PCR, real-time PCR, and bDNA (Table 2).22 Quantitative PCR tests include MONITOR 2.0 (Roche Diagnostics) and SuperQuant (National Genetics Institute); they provide comparable results.34 The bDNA method differs from reverse transcription–PCR tests in that the detection signal is amplified rather than target RNA. The third generation assay (VERSANT bDNA 3.0, Bayer Corp, Tarrytown, NY) has a lower limit of detection of 615 IU/mL and an upper range of 7.7 million IU/mL.35 It is highly reproducible and the specificity ranges from 96% to 98.8%. A critically important advance in molecular diagnostics has been the adaptation of real-time PCR methods to quantify HCV RNA. Using TaqMan technology, real-time PCR yields quantitative results with comparable sensitivity to qualitative tests. In addition, real-time PCR can accurately quantify HCV RNA levels over a linear range exceeding 6 logs (ie, 10 IU/mL to 100 million IU/mL) for purposes of therapeutic monitoring (Table 2).36 Therefore, a single test result serves the purpose of both quantitative and qualitative HCV NATs. The assay is faster and more cost-effective than the other techniques and has already replaced other NAT testing platforms at many institutions. However, real-time PCR assays are presently available only as in-house tests. Because the initial HCV RNA quantification techniques reported results in different units, direct comparisons were often difficult. With the adoption of a World Health Organization international standard, units from different assays are now interconvertible. However, because there is still variability between the various assays, it is recommended that clinicians use the same assay throughout the treatment course of any given patient. Given the reduced sensitivity of quantitative NAT for HCV RNA detection, it is prudent to retest all negative specimen results by the more sensitive qualitative NATs (ie, TMA or reverse transcription-PCR). Early clinical trials showed that patients with a baseline HCV RNA level of more than 2 million copies/mL had a 9% lower sustained virological response rate than those with less than 2 million copies/mL.37 Using the World Health Organization international standard, it was determined that 800 000 IU/mL corresponds to 2 million copies/mL. By extrapolation of these findings, a high viral load is considered greater than 800 000 IU/mL and a lowviral load is defined as less than 800 000 IU/mL.38 Further studies have found that patients with low HCV RNA levels had a 15% to 39% better response rate than those with high HCV RNA levels, a finding that is consistent across trials using different formulations and dosages of interferon.39-43 However, many of these early studies used quantification tests that had not been approved by the US Food and Drug Administration; thus, these prediction cutoffs may not hold for the more commonly used bDNA and real-time PCR assays. Other clinical scenarios in which quantitative HCV RNA testing has been studied include spontaneous remission, sexual transmission, and determining severity of liver disease. Rapidly declining HCV RNA levels in the acute phase may predict spontaneous clearance,32 whereas levels lower than 800 000 IU/mL in the chronic phase were associated with spontaneous negativity.15 Although high-serum HCV RNA levels predict both oral and genital shedding of HCV,49-51 the relationship between serum HCV RNA levels and sexual transmission has not been proven to date. The relationship between HCV RNA levels and liver disease severity remain controversial. Several studies have reported significant associations between HCV RNA levels and either liver inflammation or liver fibrosis.53-56 However, other studies failed to find such associations, perhaps due to different methods for HCV RNA quantification and/or differences in patient cohort characteristics between positive and negative studies.57-59 Although the prevailing opinion is that HCV RNA levels remain fairly constant over time and are not predictive of disease outcome, the question is not fully resolved and the issue deserves more careful study from both clinical and laboratory perspectives.28 Therefore, a liver biopsy is important to determine the severity of liver disease. Genotype tests are important clinically because they predict most accurately the chance of antiviral response, dictate the duration of therapy, and determine the dosage of ribavirin. Genotype is the strongest predictor of response to interferon and ribavirin; patients who had genotype 2 or 3 were 3 to 6 times more likely to achieve sustained virological response in the 2 large registration trials of peginterferon.40,44 Furthermore, for genotypes 2 and 3 (but not genotype 1), rates of sustained virological response were equivalent with 6 months vs 12 months of therapy.62 Therefore, any patient deemed to be a candidate for peginterferon and ribavirin should undergo the genotype test before initiating therapy. Molecular diagnostic testing for HCV has provided a crucial tool for addressing significant controversies in HCV management. For example, 1 meta-analysis of published articles up to 2002 reported that sustained virological response rates varied from 37% to 100% in the treatment of acute HCV compared with 12% of untreated patients.63 Recent clinical trials incorporating NAT has helped to optimize the timing and duration of treatment, resulting in sustained virological response rates exceeding 80% in some situations (Table 3). In a similar fashion, HCV NATs have been used to optimize treatment of chronic HCV infection. In the research setting, HCV RNA testing of nonserum reservoirs has raised the controversial issue of occult hepatitis C.
Recent randomized trials have used molecular diagnostics to clarify controversies surrounding the timing of treatment initiation, the duration of therapy and the use of adjunctive ribavirin for acute HCV infection. Therapy of patients with acute genotype 1 infection is especially important because therapy is shortened and much more efficacious compared with therapy during the chronic phase (sustained virological response, 42%-52%).40,44,64 In a series of well-defined studies, Kamal and colleagues65-67 performed frequent ultrasensitive NATs (reverse transcription–PCR and TMA) to define the effect of various therapeutic regimens on the HCV persistence or clearance during acute infection. The molecular tests were critical for defining treatment responses. 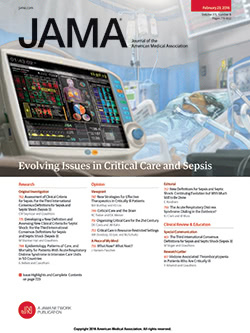 Several controversial issues were resolved, including (1) optimal time after infection to initiate therapy (8-12 weeks); (2) optimal treatment duration (24 weeks); and (3) the important point that ribavirin is apparently not required for optimal responses during acute infection, thus reducing the risk of major adverse effects (anemia). These studies illustrate well the critical role of molecular diagnostics in shaping clinical management of acute HCV infections. Hepatitis C virus NATs also played a critical role in optimization of therapeutic decision making during treatment of chronic HCV infections. Expert guidelines recommend 48 weeks of peginterferon plus 1000 to 1200 mg of ribavirin (combination therapy) for patients with genotype 1 infection and 24 weeks of peginterferon plus 800 mg of ribavirin for genotypes 2 or 3 infection.8,9 Since these guidelines were published, several studies have explored shortened treatment courses to reduce major neuropsychiatric and hematological adverse effects. One series of studies evaluated the efficacy of shortening treatment duration in patients infected with genotype 1 HCV who develop a rapid virological response. Researchers found that 24% of the patients receiving combination therapy achieved a rapid virological response. Among these patients with a rapid virological rate, sustained virological response rates were equivalent for 24 vs 48 weeks of therapy using weight-based ribavirin (88%-91%).45 Preliminary results of an intention-to-treat analysis of a prospective randomized trial indicate that 77% of participants with genotype 1 and a rapid virological response achieved sustained virological response after a 24-week treatment course.47 This rate is much higher than the 42% to 52% rate reported in randomized trials using 48 weeks of treatment for participants with genotype 1.40,44,45,64 Thus, defining rapid virological response (undetectable RNA by week 4) may be very useful for shortening treatment durations in individuals infected with genotype 1. Randomized trials have also studied the impact of shortening the treatment course for patients with genotype 2 or 3 infections from 24 weeks to 12 to 16 weeks, with mixed results.68-70 Although early results suggested that rapid virological response may identify patients requiring only 12 to 16 weeks of therapy, preliminary results from a large prospective study have not confirmed this association. Thus, results defined by molecular diagnostic testing do not support shortening treatment for patients with genotype 2 or 3 infections, and we recommend 24 weeks of therapy in this circumstance until more definitive data are available. Other studies have examined the converse issue of extending treatment for patients with a slower virological response defined by lack of an early virological response (HCV RNA levels decreased by 2 logs after 12 weeks of therapy). In an early randomized trial, patients with genotype 1 who were naïve to interferon were given 48 vs 72 weeks of combination therapy, and there was no difference in sustained virological response.71 However, patients with early virological response showed significant improvement in sustained virological response from an additional 24 weeks of therapy (29% vs 17%). This result emphasizes the potential utility of intratreatment HCV RNA quantification for tailoring duration of therapy. When considering the option of extended treatment, it is important to consider the significant adverse effects of HCV therapy, including major depression and anemia. Furthermore, the treatment paradigms that rely on rapid virological response and early virological response for tailoring therapy may not apply to emerging therapies and will need to be studied. Nevertheless, molecular diagnostic testing for HCV has played and will continue to play a critical role in optimization of therapy for chronic HCV infection. If a patient develops an undetectable HCV RNA level 24 weeks after completion of therapy, it is generally believed that HCV infection has been eradicated. This assumption is based on several long-term surveillance studies, including one that found 72 of 75 patients had undetectable HCV RNA levels in serum samples for a mean of 4 years after achieving a sustained virological response.72 This study also found that none of 27 patients had detectable HCV RNA in liver biopsy specimens performed 1 to 5 years after treatment. Several recent studies have challenged the conclusion that HCV is truly eradicated after a documented sustained virological response. In one study, researchers detected HCV RNA in 15 of 17 serum samples and in 9 of 12 samples of peripheral blood mononuclear cells taken from patients previously reported as having tested negative for HCV RNA after either spontaneous or treatment-induced resolution.70 A second research group reported detection of HCV RNA frequently in liver biopsies and peripheral blood mononuclear cells from patients with abnormal liver function tests whose serum sample tested negative for HCV antibody and RNA.73 Overall, 48 of 100 patients with undiagnosed hepatitis had HCV RNA in liver biopsy specimens and 40 of 100 had HCV RNA in their peripheral blood mononuclear cells, leading to speculation of a new clinical entity designated as occult hepatitis C. A study of patients who tested positive for HCV antibodies but negative for HCV RNA with normal serum ALT levels found that 10 of 12 patients had HCV RNA in liver biopsies.74 Finally, Lee et al75 reported that a patient with hypogammaglobulinemia had HCV recrudescence at the time of steroid treatment after an acute infection, despite 8 years of having negative HCV RNA test results. Because of the technical difficulties in evaluating HCV replication ex vivo, the possibility of reinfection and the controversies in the literature, additional rigorous studies are needed to confirm these reports of occult HCV infection, both during natural infection and after therapy. The diagnosis, monitoring, and treatment of HCV infection represent a new paradigm in the field of virology. Hepatitis C virus was the first pathogenic human virus identified purely by molecular methods. Active disease is defined by detection of viral RNA in serum regardless of antibody or ALT levels. The transition of acute to chronic HCV infection is defined by HCV RNA detection 6 months after exposure. Monitoring of the antiviral response is largely by measuring the presence and levels of virus using molecular diagnostics. Without question, the diagnosis and management of hepatitis C rely heavily on accurate molecular diagnostic tests. Important emerging issues include defining the optimal use of molecular testing across all drug regimens, including several new antiviral agents presently under evaluation in clinical trials and resolution of the controversial claim that occult HCV infection may occur. Corresponding Author: David R. Gretch, MD, PhD, Harborview Medical Center, Box 359690 Virology Division UW, 325 Ninth Ave, Seattle, WA 98104-2499 (gretch@u.washington.edu). Author Contributions: Dr Gretch had full access to all of the data in the study and takes responsibility for the integrity of the data and accuracy of the data analysis. Study concept and design: Scott, Gretch. Acquisition of data: Scott, Gretch. Analysis and interpretation of data: Scott, Gretch. Drafting of the manuscript: Scott, Gretch. Critical revision of the manuscript for important intellectual content: Gretch. Funding/Support: No funding was received for this review. Dr Scott reports that he is the recipient of a Mentored Patient-Oriented Research Career Development Award (K23) from the National Center for Research Resources. Dr Gretch reports that he is supported by National Institutes of Health grants AI 049168, AI 066209, and DK 92318. Role of the Sponsor: Organizations providing salary support for the authors played no role in the design and conduct of the study, including collection, management, analysis, and interpretation of the data, and the preparation, review, and approval of the manuscript. Acknowledgment: We thank Richard Wilson, MD, Chia Wang, MD, MSc, and Larry Corey, MD, for helpful editorial comments, all from the University of Washington and Harborview Medical Center, Seattle. None received compensation for their assistance. We also thank Georgia St. Aubyn, Harborview Medical Center, for her invaluable support in the preparation of the manuscript, whose assistance is part of her regular duties.